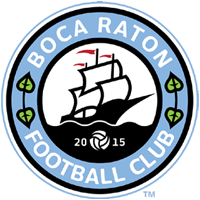 BOCA RATON, FL — This week Boca Raton FC will take on Miami FC 2, in one of the most important matches this season. With a win, Boca Raton would move to three wins in the season, which would tie their win total from last season only five games into the season. Boca Raton FC’s attack will feature the reigning NPSL National Player of the Week, Matheus Ayrolla. Ayrolla is the Sunshine Conference leading scorer and he will look to add to his account versus a Miami FC team that has only allowed 3 goals all season. Miami FC is currently on a four-game road trip, they have played 2 games in the past 4 days winning both. They have also put up an impressive 8 goals in the past 2 games versus Palm Beach United and Storm FC. With a strong offense that has been keeping the pressure on their opponents, Boca Raton will look to get three huge points at home. The player to watch this weekend is Giovanni Amoroso. In the past two games alone Giovanni has recorded three assists. He is a powerful player to the offense, as he positions himself to be able to make all of his passes count. He will be a vital asset to Boca Raton FC in the game against Miami this weekend. The former Fort Lauderdale Strikers midfield has found his place with Miami FC. Gonzalez was a vital player to Miami in their game against Storm FC, he played the full 90 minutes in their 7-0 victory. Though he has yet to record any assists or notched his first goal, Boca Raton FC’s backline will look to stop the speedy midfielder this Saturday at The Shipyard. Tickets for this weekends game are available at www.bocaratonfc.com/tickets. They will also be available at the door for $10.